I wrote this blog post in the Albatross Hotel on Sunday, December 14, 2014. To show your appreciation for my efforts here, we ask, as always, that you use our the B&H and Amazon affiliate links on the right side of the blog for all of your purchases. B&H Is recommended for you major photography gear purchases, Amazon for your household, entertainment, and general purpose stuff. Please check the availability of all photographic accessories in the BIRDS AS ART Online Store, especially Gitzo tripods, Wimberley tripod heads, and the like. We sell only what I have used, have tested, and can depend on. We will not sell you junk. We know what you need to make creating great images easy and fun. And we are always glad to answer your gear questions via e-mail. 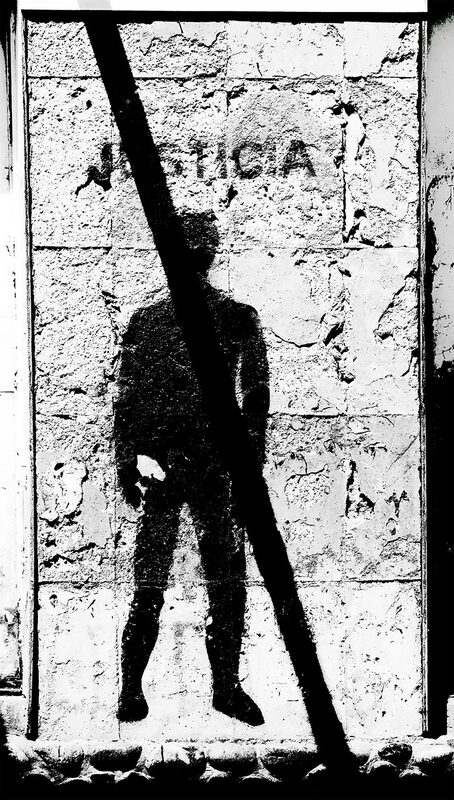 This image was created on the way to lunch on my first and only full day in Ushuaia, Argentina. I used the Canon EF 70-200mm f/2.8L IS II USM lens (hand held at 85mm and the Canon EOS 7D Mark II . ISO 400. Evaluative metering at zero: 1/2000 sec. at f/7.1 in Av mode. Central Zone/AI Servo/Rear Focus AF as originally framed. Click here to see the latest version of the Rear Focus Tutorial. Click on the image to see a larger version. On the way to lunch, I brought along my favorite street photography lens, the very versatile 70-200mm f/2.8L IS II. The diagonal black line is actually a shadow, one that adds a bit of mystery and power to the image which likely already carried with it some sort of political message. I went to black and white by setting the Picture Style to Monochrome and then increasing the contrast, all that in DPP 4.0. Sometimes in life and photography timing is everything. Please leave a comment and share your thoughts with us. 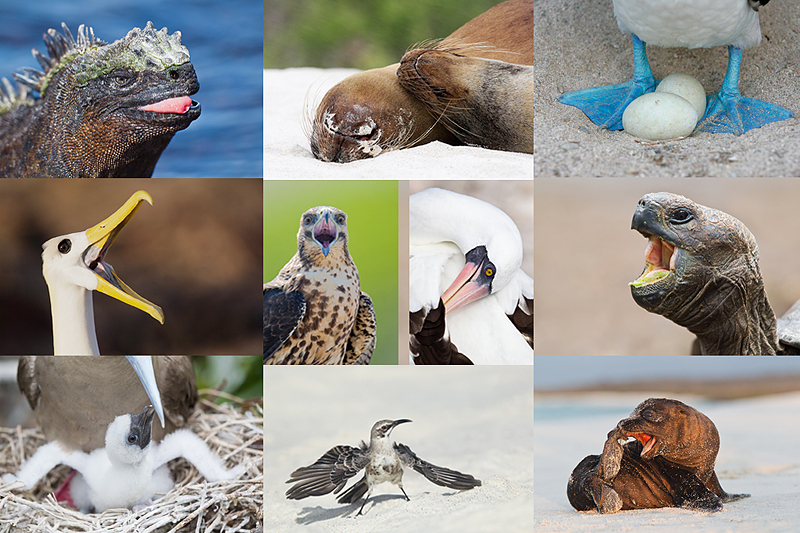 GALAPAGOS Photo Cruise of a Lifetime IPT/The Complete Galapagos Photographic Experience. July 14-28, 2015 on the boat. 13 FULL and two half-days of photography: $12,499. Limit 14 including the leader:/Openings: 4. $12,499 includes just about everything: all transfers, guide and park fees, all food on the boat, transfers and ground transportation, your flights to the archipelago, and three nights (double occupancy) in a top notch hotel in Guayacil. If you are good to go, a non-refundable deposit of $5,000 per person is due immediately. The second payment of $4,000 is not due until 11/1/14. The final payment of $3449 per person will be due on 2/1/15. A $200 discount will be applied to each of the balances for couples or friends who register at the same time. Very powerful image, even absent the word on the wall (“justice” in Spanish).